Registration Fees / registration is closed! The vision of the APC is simply this: "Brothers who love and serve one another." Its mission is is "to serve the clergy of the Archdiocese by supporting our priests through spiritual growth, educational development and personal wellness. This mission is accomplished through retreats, continuing education, brother-to-brother outreach, ministry development, clergy family care and benevolence." The biennial National Clergy Retreat is one of the most important ways the APC fulfills that vision and mission through refreshing, renewing and recharging the clergy of the Archdiocese of America, and through them the Church, ministries and families they serve and love. All this happens through encounters with dynamic and personal speakers, engaging sessions with brother clergy, refreshing adventures to change the pace and plenty of time for great conversations, personal prayer and taking a break from our hectic daily schedules. And an professional fitness sessions add to the overall emphasis on wellness that empowers all who attend to be better stewards of their gift of heath. It is a place where brothers who serve at the Holy Altar of Christ discover that they are not alone in their struggles and have others around them that can uniquely share their joy. It is also the only national gathering event in the life of the Archdiocese exclusvely for clergy. "These retreats are fabulous, and I am most grateful to be able to attend them ... I appreciate the opportunity especially to see a new place and soak in our brotherhood." "We can't do it alone"
"It gave me the refreshment I needed"
"This retreat could not have been more timely for me. It gave me the refreshment I needed and overall has already made me a better priest." 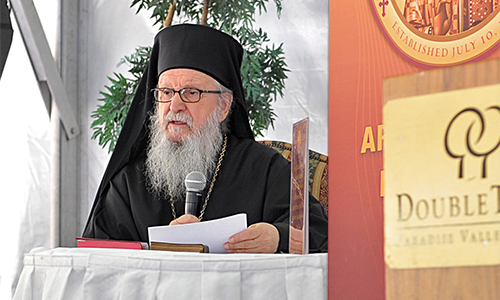 As Archbishop of America, Exarch of the Ecumenical Patriarchate, and head of the Eparchial Synod of the Archdiocese since 1999, His Eminence has traveled extensively in his work as archpastor and shepherd. 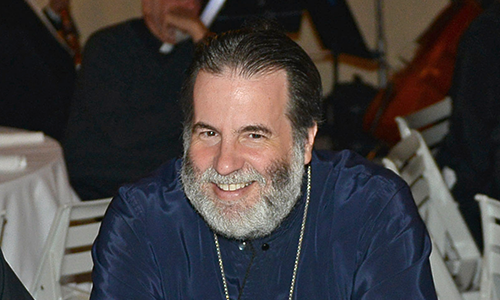 Known to many of our clergy through those travels as well as a beloved professor of Old Testament at Holy Cross, His Eminence will celebrate Divine Liturgy and offer pastoral words and have opportunities to interact with all those in attendance. Father Zacharias is a disciple of Elder Sophrony (of blessed memory), and a monk of over 40 years in the Patriarchal Stavropegic Monastery of St. John the Baptist, in Essex, England. 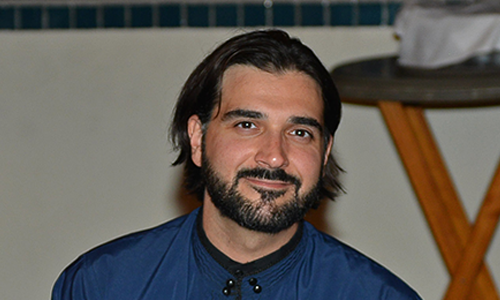 He studied Theology in Paris and Thessalonica, and is fluent in Greek, Russian, French and English. While studying for his Ph.D, Father Zacharias wrote his doctoral dissertation entitled “Christ, Our Way and Our Life.” He has since published many books in multiple languages, and has extensively lectured internationally. It is a rare opportunity to have him with us. Arrive at Lansdowne, check in, connect with your brothers and enjoy exploring the resort's beautiful natural setting of 476 picturesque acres along the Potomac River. Highlights / Unpack, check-in and explore! "Freely you have received, freely give to us" (From the Apolytikion of Ss. Cosmas and Damian). Open the Retreat with the Vespers of Saints Cosmas and Damian the Holy Unmercenaries and Wonderworkers. Enjoy a welcome reception hosted by His Eminence Archbishop Demetrios, who is looking forward to personally greeting each retreat participant. Find friends you haven't seen in a while, catch up on relationships and share stories. Get ready for a great retreat! Highlights / Receive Archbishop's blessing, see your friends! "Opening Dinner/Celebrating Archbishop Demetrios' 50 Years as a Hierarch"
Find old friends or be adventurous and sit with someone you don't know for a great Lansdowne dinner. Either way, it's a great way to unwind from your travels and settle in for a great stay. Highlight / Great to be with everyone again! Relax each evening in the Executive Suites area with complimentary snacks and drinks. Catch up on quiet conversations, visit with friends and call it a day! Highlights / Snacks, beverages and chillin' out! Enjoy brunch at Lansdowne with His Eminence Archbishop Demetrios as he shares his pastoral insights and experience as shepherd of the Church in America and longest-serving Hierarch in the Orthodox Church throughout the world, with 50 years of episcopal service. Highlight / Our time as priests with our Archbishop! Everyone needs a break now and then, even at a retreat. Stretch, walk and breath in some relaxation as you make time for winding down. 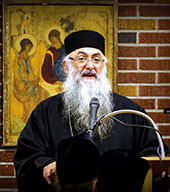 "Encounter 1: 'Fathers' - Archimandrite Zacharias"
Father Zacharias addresses us for the time. This Encounter opens the Retreat with the topic of being fathers. Prepare to roll up your sleeves in an "Engagement" session afterwards, where brothers all have an opportunity to share questions, concerns and stories with one another in a safe and trusting environment. Highlight / We are so many kinds of fathers. What does that mean? Surveys of past retreats consistently ask for free and unstructured time to relax, decompress and take time for ourselves, and the Retreat Team takes your feedback seriously, so here it is! Amble around the resort, grab lunch at one of its great restaurants, talk with friends, enjoy the free activities or immerse yourself in prayer and peace. Also available at this time will be Wellness Consultations provided by the Orthodox Health Plan. Highlights You pick: anything or nothing at all! Highlight / Rise, shine and pump up the energy early! "Encounter 2: 'Men of God' - Archimandrite Zacharias"
Father Zacharias again addresses us, this time on the topic of being men of God. Prepare to roll up your sleeves in an "Engagement" session afterwards, where brothers all have an opportunity to share questions, concerns and stories with one another in a safe and trusting environment. Highlight / My turn to answer the question, "Do I want to be well?" "M Games Part 1 - Arena Events"
The 2017 Retreat will feature a competitive element, never seen before. The 'M Games' (Metropolis Games) will promote camaraderie, inspire fun and provide an all-around competition of mind and body in an epic three-round gauntlet of excitement. In Round 1, an arena will be set up with stadium seating for the Arena Round, featuring inflatable games. Each team will choose it’s challengers ahead of time to compete in events such as: Jousting, Sumo Suits, Inflatable man ball, and “the Pie Game.” The goal of this round is to promote camaraderie. Highlight / Time to "Power Up!" Enjoy Virginia Wine Country from the scenic surroundings of the Stone Tower Winery. Start with an hour of wine tasting with Stone Tower's local Virginia wines, then head down to the Vineyard View room for a laid-back evening of food and conversation with your brothers. Highlights / No speeches - just food and fellowship! Relax each evening in the Presidential Suite with complimentary snacks and drinks with your brothers. Catch up on quiet conversations, visit with friends and call it a day! Enjoy a leisurely breakfast and beautiful, sunny scenery at Lansdowne's Riverside Hearth restaurant, included in your registration. Highlights / Your breakfast, your way: easy-over or easy-does-it! "M Games Part 2 - Individual Events"
Choose from a bunch of great ways to spend the day with your friends outside the office! No extra charge unless otherwise indicated. Enjoy a bus tour of Washington, DC, landmarks, including the White House! Zipline through the colors of fall from above at Harper's Ferry. Hike and bike the Potomac River Valley on 476 acres of Lansdowne trails. Battle through 48acres of paintball at Pev's Paintball Park. Enjoy the Robert Trent Jones Jr and Greg Norman signature golf course at Lansdowne. ADDED OPTION: Spend an afternoon exploring this massive museum housing over 3,000 aircraft, spacecraft, and other historical items, including the Space Shuttle Discovery, an SR-71, an Air France Concorde, and the B-29 bomber Enola Gay. Or just lay back, relax and hang out on your own or with friends. Your choice, but NOTE: Choice MUST be made a time of online registration. Surveys of past retreats consistently ask for free and unstructured time to relax, decompress and take time for ourselves, and the Retreat Team takes your feedback seriously, so here it is! Stretch, walk and breath in some relaxation as you make time for winding down. Highlights Do anything or nothing at all! 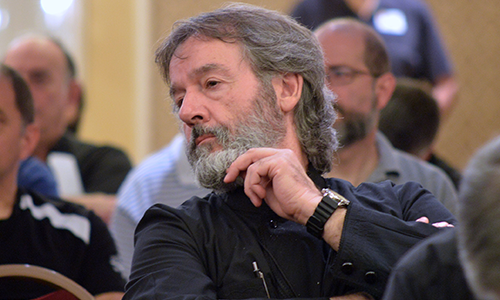 "Encounter 3: Dialogue with Father Zacharias"
Father Zacharias shares his insightful, pastoral and practical advice in a dialogue session with the brothers. Highlight / Question and Answer Time! "M Games Part 2 - Finale"
The 2017 Retreat will feature a competitive element, never seen before. The 'M Games' (Metropolis Games) will promote camaraderie, inspire fun and provide an all-around competition of mind and body in an epic three-round gauntlet of excitement. Round 3 will be a Trivia Night and Closing Ceremony before the final dinner at Lansdowne Resort. With the teams, groups will be seated with brothers they do not know. In addition the honor of winning, a small prize will be given to members of the winning team. Get ready to be immersed in the Virginia flavors and hospitality of Chef Marcus and his team. This is a meal you will want to write home about! Highlight / Awesome food and the great company of your brothers! "O Lord, in the morning you hear my voice" (Psalm 5.3). Start the morning worshiping the Lord in thanksgiving for the gift of the retreat experience and in prayer for safe travels for all. Get a great start to the day enjoying breakfast with your brothers. Highlight / Good breakfast, good morning! "Engagement 3: 'Time to Power Up!'" 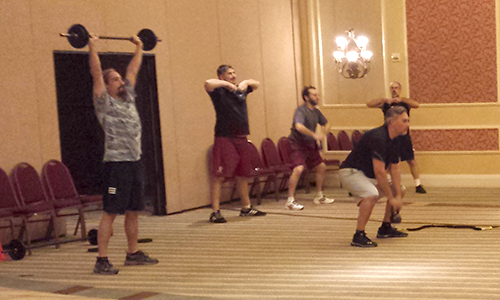 Lots to review and process from an intense week. Spend an hour talking over the week and everything you've learned in a final interactive Engagement session with your group from the week. 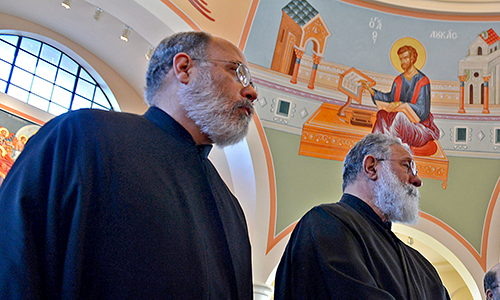 From the new Financial Literacy Program to Benefits to Peer Learning Groups to Continuing Education, there is a lot of news about many exciting developments and opportunities for clergy in the Greek Orthodox Archdiocese. Get ready for a one-hour tour of everything new from the experts in the field. Highlight / Getting the scoop! Depart for home, family and re-energized ministry in the holy vineyard of Christ! Be sure to schedule your departure to stay until the end! Dulles Airport is not far away, but recommend scheduling flights for 3:00p or later. Adventures / hiking, biking, touring, golfing ... whatever! Comfortable buses will take you on a guided tour of DC’s most iconic sights: landmarks, monuments, museums...and the White House! There are plenty of great trails and routes nearby to explore, hike, and bike, including 476 acres on the Lansdowne property. You can also traverse many of these trails by bike, including the 27.5 mile “Dirt Ride” mountain bike loop! The Harpers Ferry “Fall Colors” zipline canopy tour is the perfect way to experience autumn. The tour includes 7 zips with heights up to 425 ft and a 100 ft sky bridge! Immerse yourself in the colors of fall like never before! Pev’s Paintball Park is a massive 48 acre complex with 14 playing fields full of 25+ buildings and props, towers, rock fields, caves, and inflatable obstacles. No experience needed and all playing/safety equipment will be provided. A relaxing resort hotel. The peaceful Potomac River Valley. A good book. R&R. Need we say more? Who is responsible for covering the costs of the retreat? Is this retreat for couples or clergy only? Is attendance at retreat events required? Your parish. 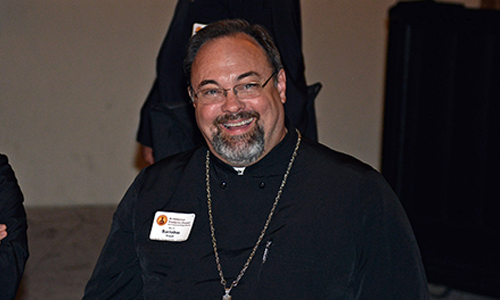 As cited in the Archdiocesan Presbyters Council Guidelines, "The National Clergy Retreat (NCR) of the Archdiocese of America will be organized by the Archdiocesan Presbyters Council and held biennially on the off year of the Clergy Laity Congress. All expenses for clergy participants are to be covered by their individual Parish, as per the Regulations of the Greek Orthodox Archdiocese of America and the remunerative standards for clergy established by the Clergy Compensation Plan that is issued annually." Exceptions to this directive must be approved by the local Metropolitan. Further, the Archdiocese Uniform Parish Regulations (Article 17 (Clergy), Section 8), state: "The Archdiocesan Council and the Archdiocesan Benefits Committee will establish remunerative standards for the Clergy. These standards, for the following year, shall be sent to each Parish annually, by September 30," and in the Clergy Compensation Guidelines referred to therein, it is noted: "The Parish must provide…Expenses for attending District/Metropolis Clergy-Laity Assemblies and Retreats, the Biennial Clergy-Laity Congress, Clergy Continuing Education Programs, and the Archdiocese Presbyters Council Retreat." Register by September 30, 2017 pay only $350 - a savings of almost $50 over the regular rate of $395. Rooms are an affordable $155/night single or double occupancy, so save money by sharing a room with a friend and cut your cost for three nights to $232 + tax or $465 + tax for a single. Airfares to nearby Dulles Airport are ranging $100-$200 from the East Coast, $200-$300 from the Midwest and $300-$400 from the West Coast. Book early! That puts the total cost range between $680 and $1,160 depending on your choices of registration, rooming, transportation and location. The APC understands that clergy schedules are subject to change due to issues beyond our control and has established the following refund policy. It allows a partial refund for cancellations by September 30, 2017. Cancellations requested by September 30, 2017 will receive a refund of the registration fee paid less a $100 cancellation fee. Cancellations requested after September 30, 2017 will not receive a refund due to guarantees and expenses incurred by the retreat as a result of the registration. Important hotel cancellation note: Registrants who cancel are responsible for cancelling their hotel reservations. Failure to do so may result in hotel cancellation charges. *Notes: Wednesday and Thursday lunches are not scheduled group meals and are on your own. Golf Adventure involves extra fees. 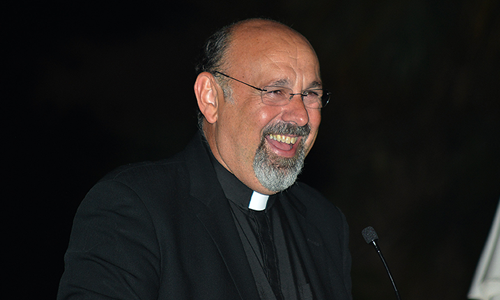 The overall cost of the retreat is greatly lowered for all clergy through a generous grant from the Archbishop Iakovos Leadership 100 Endowment Fund. This makes the event more affordable for all. Additionally, limited financial assistance is available for clergy with demonstrated need through the Leadershp grant and through APC and Metropolis Clergy Syndesmos resources. Clergy should contact their local Syndesmos representative for information. A list of representatives can be found here. Important note:All requests for financial assistance must be received by the Earlybird registration discount date of September 30, 2017. The National Clergy Retreat is, by definition and as indicated in the Registration information, a clergy only event, just as the National Sisterhood of Presvyteres is a women's retreat only. Our schedule, meals and other events are designed with the full participation of the clergy registrants in mind. Because attendance at any session, meal, adventure or other retreat function is limited to paid clergy participants, please understand that wives or others do not have the opportunity to do so. The APC does, however, place a great emphasis on healthy clergy couple relationships, and since Lansdowne Resort is a beautiful location at a great price, clergy may want to enjoy some time there with their presvyteres before or after the retreat. So, wives and families are welcome to be present for the three days BEFORE the retreat or the three days AFTER, but are kindly asked to NOT be present on-site DURING the retreat itself. The affordable registration and hotel rates are made possible as incentives to participate in the entire retreat, and all attendees are expected to receive the full benefit of the retreat by participating in all events. IMPORTANT NOTE: The discounted hotel rate is available only to clergy who register and participate in the retreat events. Attendees who register but do not participate in the retreat will be charged full room rates. You Pick the Prize! / register early and you could win! WIN AND PICK YOUR PRIZE! Some of us like tech gadgets, some like great food and still others like to travel. So instead of us picking a prize to give away for early registration, this time around we're letting you pick the prize! If you are chosen as the winner, you will have your choice between the following three great prizes: 1) An Amazon gift card for the gadget of your choice or anything else on Amazon (Value: $300); 2) An Outback Steak House Gift Certificate big enough to take the entire family and some friends for dinner at any of over 750 locations (Value: $300); 3) A Hotels.com Gift Certificate for an overnight stay in any of 150,000 locations (Value: $300). CHECK THIS OUT: THE EARLIER YOU REGISTER, THE BETTER YOUR CHANCES! Register by September 28th and your name will be put in a drawing for the "Pick Your Prize" drawing. For each day before September 28th, your name will be entered AGAIN! So, register on July 10th and your name will be entered 80 times. Register on June 5th and your name will be entered 115 times! Get it? Why wait? Register early, increase your chances! The random drawing to choose a winner will take place on September 29, 2019. The winner will be announced in San Antonio at the Retreat. Winner must be present or the prize will be awarded to the runner-up, so don't miss any of the events! 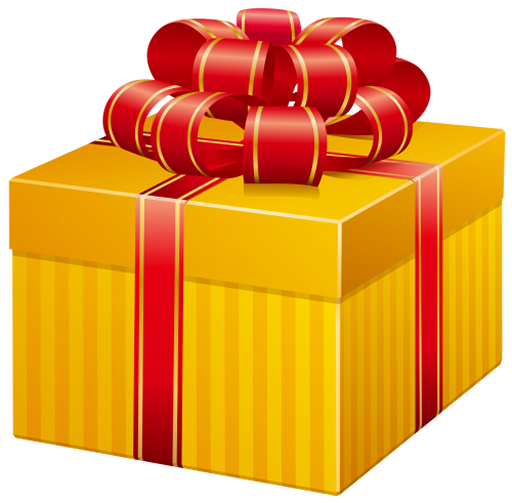 Winner will choose the prize at that time and it will be delivered following the Retreat. Winner is responsible for all taxes or additional charges. (c) 2017 The Archdiocesan Presbyters Council. apc.goarch.org. 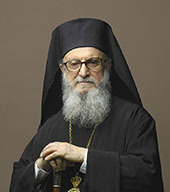 A ministry of the Greek Orthodox Archdiocese of America.